Perennial Harvest is a Social Enterprise based in St Austell and mid-Cornwall. Our aim is to make it really easy for people from all walks of life to grow their own vegetables, fruit and herbs successfully in their own spaces. Perennial Harvest was developed with the support from the School for Social Entrepreneurs. We believe that everyone can grow, no matter what their age, background or physical ability. For some the problem is simply no time, or just not knowing where to start. Perennial Harvest delivers workshops throughout the year to help others come together and grow successfully. We deliver regular monthly sessions at Pemberton Farm and at the Cornwall Wildlife Trust HQ at Allet. 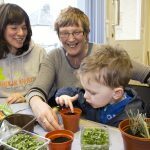 The next family-friendly sessions at Pemberton Farm are with two home-educating groups and are all about bird activity and bird habitats. We shall also be planting native broadleaf trees. We can also deliver workshops where you are in your own spaces. Whether you are a business, community group, family or individual, get in touch! The Perennial Harvest Gardening Club are a committee based not-for-profit organisation based in St Austell, Cornwall. 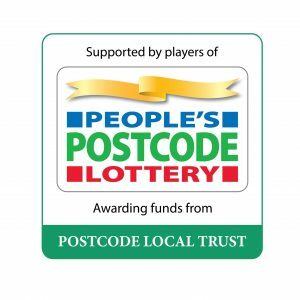 The Perennial Harvest Gardening Club have recently received a generous grant from the People’s Postcode Lottery for a year-long gardening project with SandyHill Academy. Each year we work with the Cornwall Garden Society at their Spring Flower Show, we organise the Childrens Competitive Classes. The next show is on April 6th and 7th 2019 at the Royal Cornwall Showground. Two public workshops are planned this year in the run up to the show to help your child enter. The first at Par Wyevales on February 17th from 11-2pm, the second on March 30th at Wheal Martyn. You will find more information about this under the Gardening Club section of this website here, or for more information contact us by following this link. 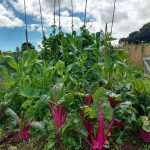 If you have a garden in Mid Cornwall and want to grow vegetables and fruit successfully at home, Perennial Harvest can help you by coming to you. We can offer advice on how to make the most of your growing space, save you associated costs such as for water, plants and compost and most importantly your own energy and time. We can work with you to successfully plan your productive growing year. If you want to find out more information follow this link or visit the Garden Design section of this website.